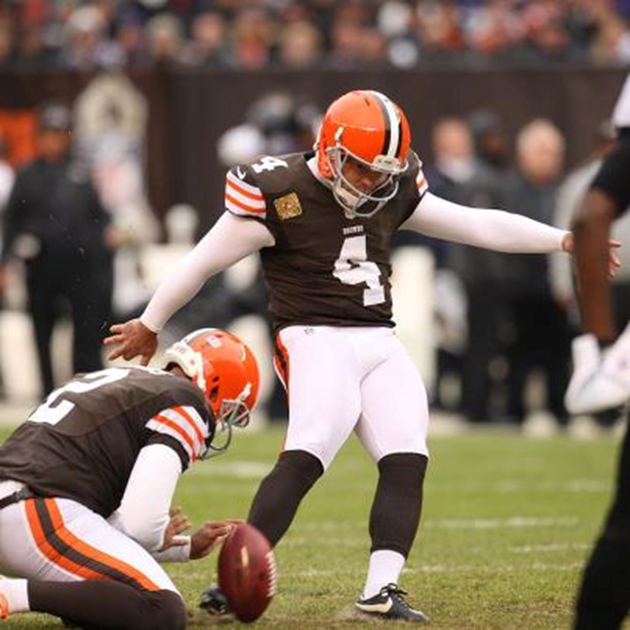 Phil Dawson has never made it to the Pro Bowl in his 14 seasons with the Browns. Go to nfl.com/probowl/ballot to vote. Fan voting counts for one-third of the selection process. As of Wednesday, Dawson was fourth in fan voting, trailing Oakland's Sebastian Janikowski, Baltimore's Justin Tucker and New England's Stephen Gostkowski. Voting ends on Monday. Browns punter Reggie Hodges emailed this open letter to The Plain Dealer, urging Browns fans to vote for Phil Dawson for the Pro Bowl. This letter serves to draw attention to the injustice that has taken place in Cleveland since 1999. PHIL DAWSON HAS NEVER BEEN TO THE PRO BOWL! Currently he is ranked fourth in fan voting. This weekend is the last opportunity to vote for Phil before voting ends Monday. If Dawson does not gain a substantial amount of votes, Browns fans could be left watching the Pittsburgh Steelers or Baltimore Ravens kicker take the spot that could be Phil's. Currently each of those players has more fan votes. It's hard to believe this, because of the passion Browns fans show every Sunday afternoon. As a player I have seen the signs proclaiming “Dawson for President” . . . fans may not be able to get him into the White House, but they sure can get him to Hawaii. This year Phil has been vital in all of the Browns victories. Phil ranks first in the AFC in FGs made, FGs made over 50 yards, and most importantly leads the NFL in FG accuracy. Fans now have an opportunity to show their gratitude for an incredible season. It takes less than a minute to vote; if half the people that fill Browns Stadium on Sunday log on and vote, Phil Dawson will be representing the Browns in the Pro Bowl.